Add a magical sparkling touch to a childs room with 4 different-size dragonflies kids can decorate themselves. 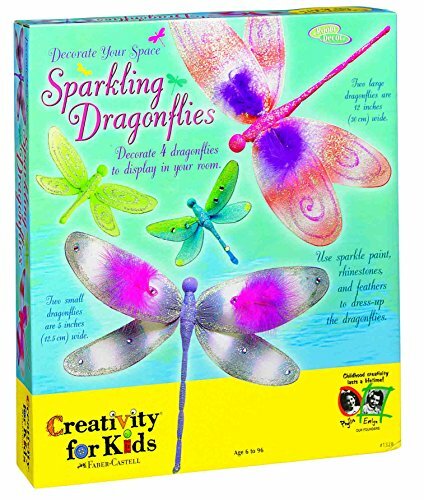 Use sparkle paints, fluffy feathers and an assortment of glittery rhinestones to transform these dragonflies into your own creations. Hang them together like a mobile or display them individually. Hanging tabs and string are included. Set includes 2 large and 2 medium dragonflies. Made of tulle paper and coated wire. Made in USA. Large dragonfly 7-12Hx12-12W. Medium dragonfly 3Hx5W.